Through an oblique reference, I recently found a link to The Woman’s Gun Pamphlet. The link is to a scanned PDF version of the Pamphlet, which can be downloaded and read or printed. It’s a very interesting publication that was written and published by a colloquium of radical feminists in 1975. 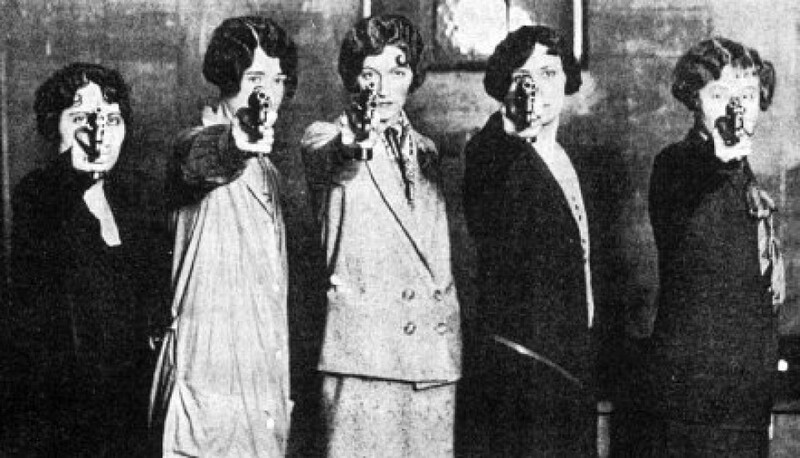 The intent was to provide information about both guns themselves and about personal protection attitudes to women of that era who knew nothing about guns or personal protection. As such, I consider it an historically significant document. There’s quite a bit of political rhetoric in it but also a goodly amount of information. Even dryfire is touched on. Some morsels of dry wit are quite entertaining. Another avoidable tragedy. Lock up your guns or get rid of them! I harp on Serious Mistakes because I get sick of reading about this kind of incident. Needless and completely preventable tragedy. In this case, an ounce of prevention would have been better than a lifetime of no cure. The Serious Mistakes research I’ve done over the past two years has completely changed me in terms of how I prioritize things. Bad things happen too often, frequently because carelessness and incompetence. If you own guns, you need a plan to secure them when children are around. Even if you don’t have kids, people bring theirs over to your home, especially your grandchildren. I’ve had several parallel annoyance tracks running this week. 4) The value of knives versus guns for personal protection. Unless you have primary source information about a topic, meaning you have personally seen it, or better yet experienced and tested it, then don’t talk about the subject. Just keep your piehole shut and don’t spread misinformation. Everything you have been TOLD about the subject by someone else was TOLD to them by someone else, who HEARD it from someone else, etc, etc, etc. The ‘information’ was either bad in the first case, got badly distorted by six degrees of separation, or both. A father mistook his 14-year-old son for an intruder Tuesday and shot him in the neck, killing him, according to Cincinnati police. People think I’m exaggerating when I say this sort of thing happens on a very regular basis. Well, I’m not. An awful lot of people regularly babble about ‘the worst possible case.’ This incident represents ‘the worst possible case,’ not some ridiculous fantasy about “providing covering fire one handed with your shotgun in your home while dragging wounded friendlies to safety.” Ugh! Learn to Challenge before shooting and practice doing it regularly, to wit: every time you go to the range. Two words, “Who’s there?”, probably would have prevented this tragedy. People have no problem running their mouths at every possible opportunity except when it’s most important.